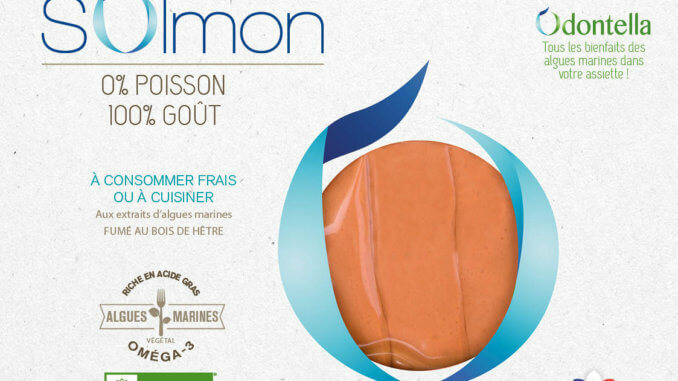 Made by innovative French company Odontella, a new product called Veggie Marine Salmon is made from microalgae and said to cook and taste just like salmon. Odontella was founded in 2016 by a team of experts in microalgae and human nutrition and specialises in developing nutritious, sustainable products based on microalgae. According to the company, the Veggie Marine Salmon is rich in marine protein, carotenoids, and Omega-3, while at the same time free from any pesticides and heavy metals that are often found in fish. The product is 100% vegan, has no impact on biodiversity or the marine wildlife, and even uses ecologically certified packaging. Odontella’s vegan salmon is available at vegan supermarket GreenBay in its London store and online.